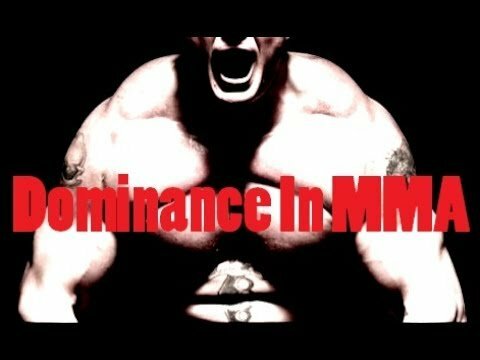 Mindsmash is back with another intriguing analysis and question of why are wrestlers so dominant in MMA? Let’s begin by taking a look at the players dominating in the sport. What is it about wrestling that makes it so powerful as an important discipline, when stringing together the rest of your arsenal? It’s intent, as a sport and the philosophy it uses to execute that intent. So what is its intent? This does two things. Using techniques to gain a superior position over the opponent. So that a fighter can hit you and you cannot hit them. With fighters like Tyron Woodley or Cody Garbrandt. Who can use their wrestling to keep the fight on the feet and away from the other fighters strengths. Which could, for instance, be Jiu Jitsu. That is why wrestling is so strong. Wrestling is essentially a tool to inhibit the other opponent from using theirs, forcing you to play into their World. In MMA it may look a little different. But it’s intent, its philosophy remains the same. Using explosiveness and technique to maintain a superior position over you. Explosiveness is another key point we have to note. The explosive training regiment. Wrestling doesn’t have as many techniques as Jiu Jitsu. Yet it is still very much a game of chess, a game of the mind. Mass times acceleration equals force. The faster you move your mass, the more force you will deliver. Justin Gaethje is the newest athlete to sign with the UFC and he brings that same wrestling base with him. Gaethje was an NCCA division one All America wrestler. Who transitioning to MMA throughout college under the tutelage of Trevor Wittman. How will his skill set translate into the elite divisions of the UFC. With a fight of the year contender win over Michael Johnson, he’s off to a great start. Let’s deconstruct the overall philosophy they are using.